Stephanie took on the challenge and chose the name 'First Place Feeds'. She has had a major role in the design, promotion and retail/wholesale marketing of the products in addition to providing nutritional information to horse owners and trainers. Stephanie left the UK 18 years ago to live and work in Canada and brought with her a successful background in amateur horse competition. She has 3 day evented at BHS intermediate level, show jumped at Foxhunter level (1.20m), drag-hunted and ridden point-to-point racing; to describe some of the disciplines. Stephanie has also bred, started and competed on her own thoroughbreds and warmbloods for many years. Stephanie is available to assist in the evaluation of your horses, as well as any feeding programs, with knowledgeable recommendations where she feels our products will help. She holds numerous certifications in equine nutrition with course studies that include a Degree in Animal Science; a Diploma in Equine Biotechnology; and certification in Equine Nutrition. Stephanie continually enhances her education and knowledge following all aspects of research and development in equine science. She currently holds 3 Certifications for E.M.S, Insulin Resistance and Cushing's Disease. Cheri joined First Place Feeds November 2017. Cheri is one of the smiling faces ready to greet and assist you at our store. 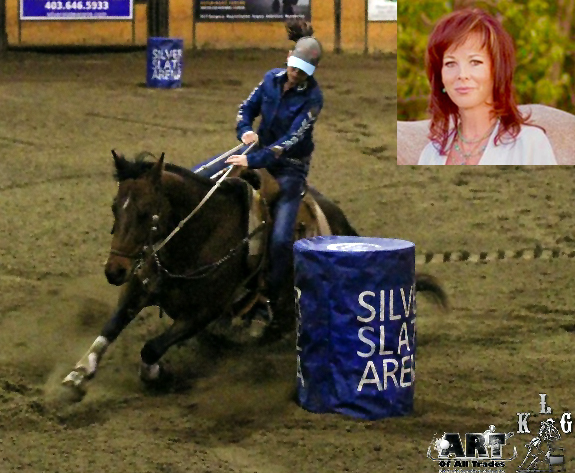 Cheri grew up on a ranch in the foothills of Alberta and has enjoyed a lifetime with horses which includes barrel racing.. Cheri believes the key to success is to never stop learning. 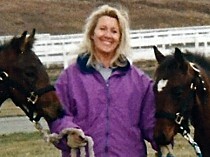 Cheri enjoys spending time with family and friends and competing on her horses.